OUTLANDER Casting: Grant O'Rourke as Rupert! 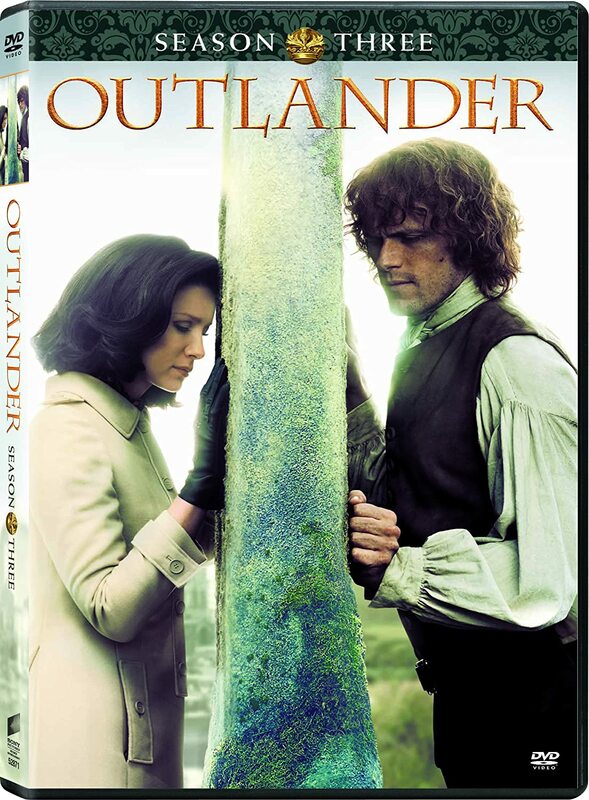 First official photo of Sam Heughan as Jamie! OUTLANDER Casting: Nell Hudson as Laoghaire! Off to Williamsburg for a few days! OUTLANDER Casting: Geillis and Rev. Wakefield! Could this be Castle Leoch? New item for sale in my Zazzle shop! 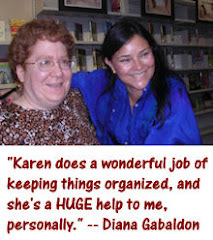 Diana Gabaldon podcast on Thursday! 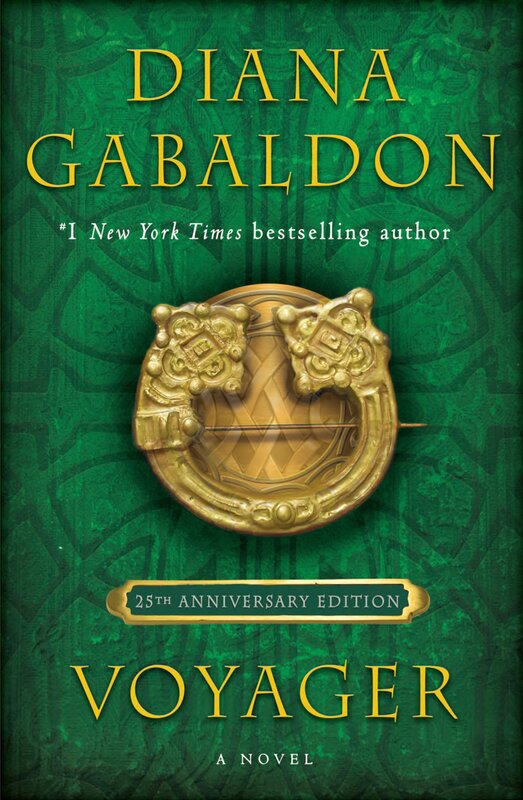 Here are this week's Friday Fun Facts about Diana Gabaldon's books. 1) Mutt and Jeff was a long-running classic comic strip. Created by Bud Fisher in 1907, and drawn from 1932-1980 by Al Smith, it became the first successful daily comic strip. There were two ecclesiastical examiners, seated on padded stools behind a table that had been erected in the square. One judge was abnormally tall and thin, the other short and stout. They reminded me irresistibly of an American comic-paper I had once seen; not knowing their names, I mentally christened the tall one Mutt and the other Jeff. You can see more classic Mutt and Jeff covers on the DC Comics website here. 2) Remember Jamie's story about how he broke his nose? He spoke quite casually. A small shiver went over me, but not from cold. The photo above, from the Morristown National Historic Park in New Jersey, shows a British infantry cartridge box from the Revolutionary War. I think it's similar to the "bullet box" Jamie described. An 18th-century cartridge, like the one shown above, was a small paper-wrapped package containing a musket ball and a pre-measured amount of powder. The soldier would tear the cartridge open (often with his teeth), pour the powder down the barrel of his musket, and use the ramrod to load the ball and the bit of paper into the barrel. Here's another example. I took the photo above, showing a cartridge box and several paper cartridges, on my recent visit to Colonial Williamsburg in Virginia. In 1756, the House of Commons resolved that all children offered should be received, that local receiving places should be appointed all over the country, and that the funds should be publicly guaranteed. A basket was accordingly hung outside the hospital; the maximum age for admission was raised from two months to twelve, and a flood of children poured in from country workhouses. In less than four years 14,934 children were presented....Of these 15,000, only 4,400 survived to be apprenticed out. There were a number of children on the open ground, bundled in coats and shawls against the chill, running about in some sort of game under the eyes of a pair of nurses. “Do you like children, particularly?” he inquired, surprised at seeing Percy’s attention fixed on them. “No, not particularly.” Stirred from his reverie, Percy turned and smiled at him, his face touched with ruefulness. “I was only wondering what their life is like here.” He glanced around them, at the high walls of brick and gray stone. The place was clean, and certainly not without elegance, but “homely” was not the adjective one would choose to describe it. “Better than it would have been otherwise, I suppose.” Some of the foundlings were orphans, others given up by mothers who could not feed them. When I visited Colonial Williamsburg last week, I saw an exhibition at the art museum there called "Threads of Feeling". It's a collection of scraps of fabric worn by infants admitted to the London Foundling Hospital in the 18th century -- a heartbreaking collection that really conveys the depth of feeling of the parents who could no longer care for their children. You can see many of those items here (click on the slideshow link on the left). For more about the history of the London Foundling Hospital, look here and here. “Well, the fish lines, and the hooks, yes. And the string for snares. Even, stretching a point, the pistol wadding and the balls--you do carry a pistol now and again. And the little snake Willie gave you, I understand that. But the stones? And a snail shell? And a piece of glass? And…” I bent closer to peer at a dark, furry mass of something. “Against rheumatism, of course.” He snatched the object from under my nose and stuffed it back in the badger skin. The jackdaw's intelligence and curiosity....perpetuate the bird's tendency to get into trouble. One of its more infamous doings was documented in 1989–90 in England and South Wales, where it had been photographed in the act of removing the caps and drinking from milk bottles delivered to peoples' homes. People who drank the milk fell ill with bacterial infections caused by strains of Campylobacter. 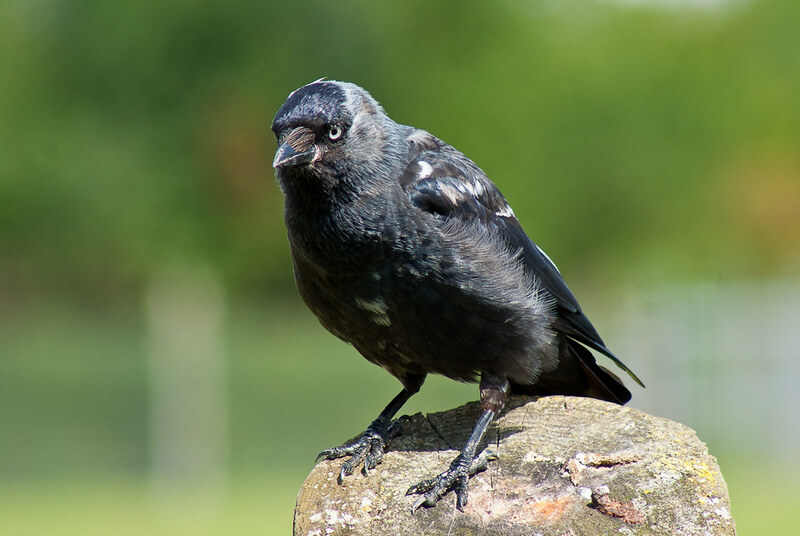 Researchers isolated the organisms from pecked milk bottles and traced them back to jackdaws and magpies (a close relative of the jackdaw), implicating the birds as the source of the outbreak. You may have heard the story of the "Vain Jackdaw", from Aesop's Fables. Tremendous bangings and rumblings from below ensued, with seamen popping up periodically to relay news of their findings to Captain Stebbings, who lounged by the rail, watching as the men of the Teal were rounded up and herded together on deck--Ian and Jamie among them. “They’re British subjects,” Stebbings informed him briefly. “I’ve every right. Or do you all claim to be Americans?” He leered briefly at that; if the ship could be considered a rebel vessel, he could simply take the whole thing as a prize, crew and all. Here's a video where Professor Denver Brunsman (author of THE EVIL NECESSITY, about the history of impressment in British Navy) talks about the practice of impressment in the 18th century. It's about 15 minutes long, but interesting. I hope you enjoyed these Friday Fun Facts! 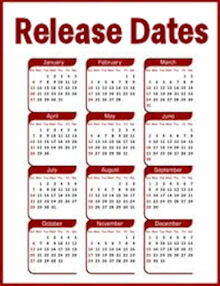 Look here to see all of my Friday Fun Facts blog posts, and please come back next week for more. Great info! Thanks for putting this all together! It is much appreciated! You're welcome! :-) Glad you enjoyed it! I was so sure that the Finnish translation would have been talking about the Magpie instead of the Jackdaw. Here Magpies are notorious of collecting especially shiny things. But the translator played safe and referenced to the hamster. Not a bad translation, but to my mind missed the point as hamsters gather things to use. But the crow birds pick things without really needing them. Though Jamie sees the reason of the items in the sporran, Claire's attitude of the need is reflected in the reference to the Jackdaw. A great specific, thank you. I went through every picture of the Online Exhibition of the Foundling Hospital. So heart-breaking! I teared up a little on some of them, and then actually cried a little on a couple of others. I can not even begin to imagine what it must've been like for their parents to leave them. Poor sweet babies. I went through the entire slideshow of Online Exhibition of the Foundling Hospital. How heartbreaking! I cannot even begin to imagine how difficult it was for these parents to give up their children. I actually began to tear up reading some of the descriptions and some of the notes the parents wrote about the children. I must've been quite moving to see it in real life.